As our hostess Jo Schieck notes, "Spring is in the air. It's time we aired out the house. Nothing like a good blast of music to shake the dust off the furniture!" We wholeheartedly agree and are excited to provide the music to do just that! 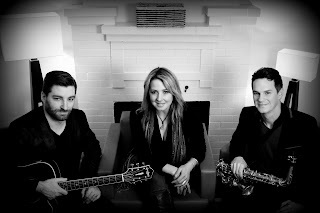 Join us on Saturday, April 18th for an up close and personal evening of music in a nice, relaxed and fun environment. Cover is only $10.00 and you can BYOB and snacks! More details can be found on the event page.